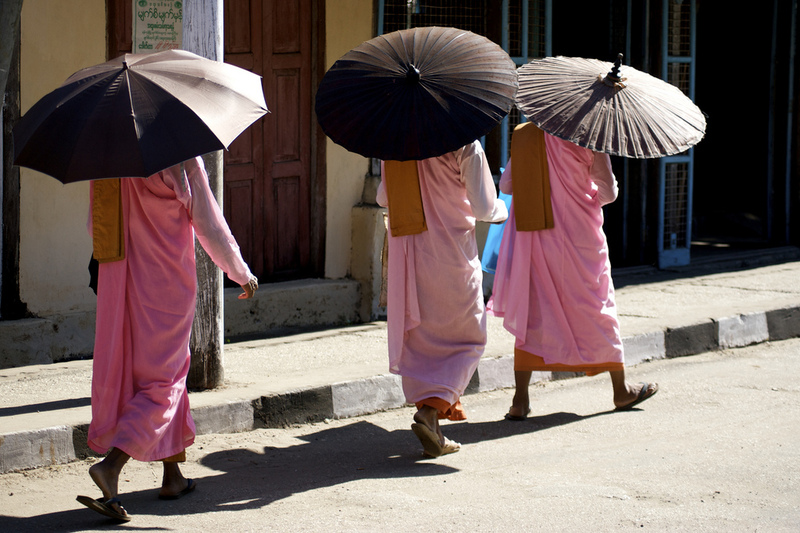 Femlae monks out collecting their alms later in the day than their male couterparts. 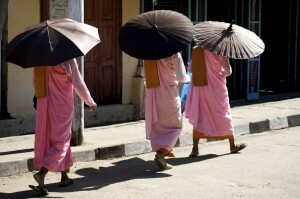 I really like their tradtional umbrellas. This was taken on the main street in Kyauk Pyu town, not far from the Dolar Restaurant where we ate at a couple of times.